A good proportion of the clients we look after at Phillip Bates & Co Financial Services are business owners. This presents added complexities when trying to work out when the best time is to retire or, at the very least, step back from the day-to-day frontline. Business owners are naturally extremely protective of the business they have built up, often over many decades. Taking the decision to let go of the reins can often be daunting. There are, of course, examples when a business owner has meticulously planned his departure with the final years running the company centring on his or her exit strategy. Sometimes, ill health can accelerate the need to put in place an exit plan. At Phillip Bates & Co, we are all about long-term planning to give business owners the best possible opportunity to be in control of their destiny rather than finding themselves dictated to by events outside of their control. Often, business owners I talk to think that their only option is to sell their company outright. But the reality is very different. 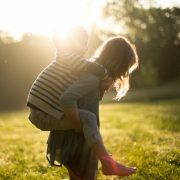 In recent months, working closely with our sister business, Phillip Bates & Co Chartered Accountants, we have helped business owners take a different route to creating more time for themselves and their loved ones. In one case, we assisted the owner in exiting his business via an employee share ownership buyout. It is an altruistic way to pass a business on to the very people who have helped you to grow it over the years. In this instance, it cost the ‘buying’ employees nothing, with the retiring owner being paid an agreed sum based on future profits. In other cases, the business owner often sees his exit as all or nothing when, in fact, one client of ours recently successfully reorganised his company so that other members of his management team took on more responsibility, allowing him to reduce his working week to just a couple of days. There are a number of other ways in which business owners can move towards retirement. Some will pass the business on to their children or other family members. Some may consider a merger with another, complementary business. And, of course, many are sold as a going concern. Whatever the route you choose to go down, a lot of emotion will be wrapped up in the decision-making process. To most people, their business is more valuable to themselves than it is to anyone else as it contains emotional value. Planning is key. Addressing the question of “how much is enough?” should ideally begin a number of years before the decision is taken to start to exit a business. 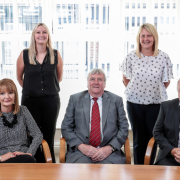 We are proud to be one of only a handful of Chartered Partnerships in the North West – combining the knowledge and expertise of our chartered accountants and chartered financial planners. In the Financial Services team alone, we now have three dedicated chartered financial planners – myself, Helen Brown and Margo Dorozik. If you are a business owner considering options for retirement either now or in the future, please do consider making contact to arrange a free initial consultation. Have you claimed your Power of Attorney refund? How will Brexit affect you?